Up next in our random posts about Bandra street art is this hallucinogenic pink wonder blowing bubbles over a couple of scooters. This one is literally steps away from our flat smack dab in the middle of an old village that once upon a time sat on the edge of the water before Bandra Reclamation sprung up to weave together Bombay’s islands and support its greedily growing population. If you didn’t know how to find it, you wouldn’t… in fact most days its covered with bed sheets drying on a clothesline. 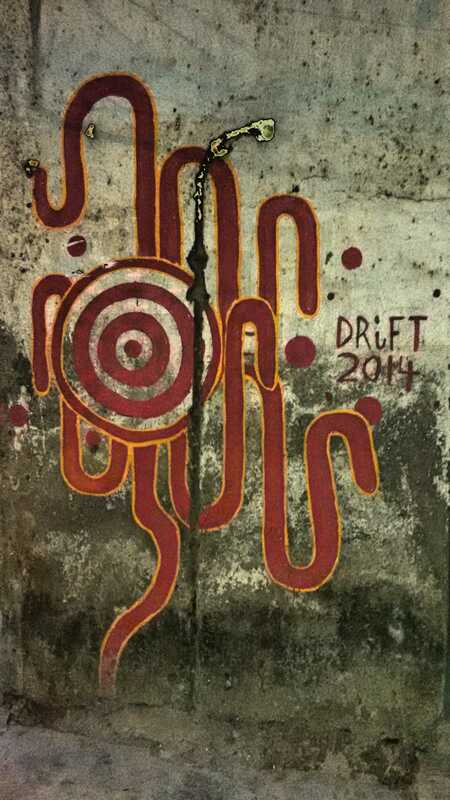 Right around the corner a distinctive mark by artist Sachin “Drift” Shetty. 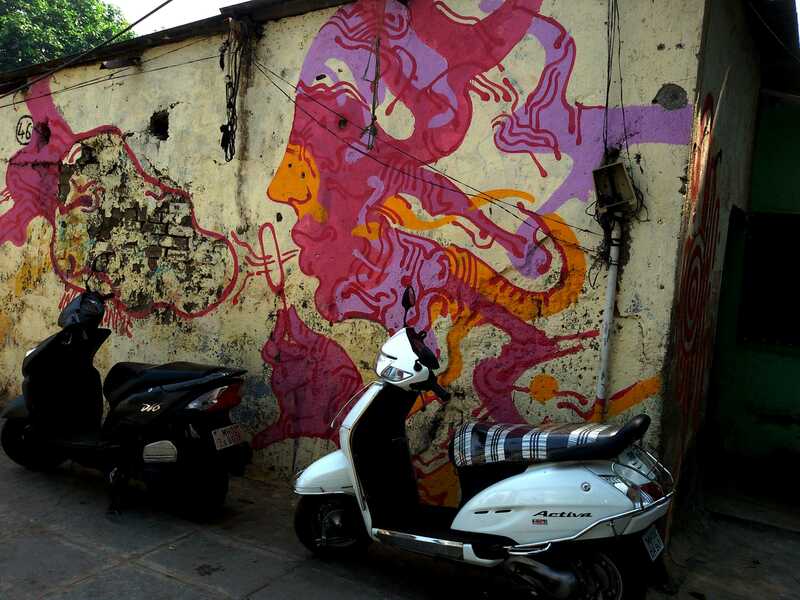 Apparently these works were sparked by Ranjit Dahiya of Bollywood Art Project who approached them to paint a few walls in what is described as “a Muslim-dominated chawl near MET.” Dahiya share some leftover pink and black paint from his studio and Drift with Harshvardhan “inkbrushnme” Kadam went to work. In an interview with the Indian Express, “Drift” and “inkbrushnme” shared insight into the experience working in our neighbourhood. They found overall the community was accepting and supportive of their work, despite their modest circumstances. “They would allow us to wash up at their one-room tenements, offer a snack and chai. Eventually, I was interacting with the people around, especially children, more than painting,” Drift shared. To read more, check out ‘An extra coat of art‘ in the IndianExpress. By Carissa Hickling in Activities, Every day on September 6, 2015 . Love both these pieces. Street art is a wonderful thing! I adore street art. These are beautiful!